Top-of-the-line shops are often clean and buck the notion that they are greasy, dirty workplaces. 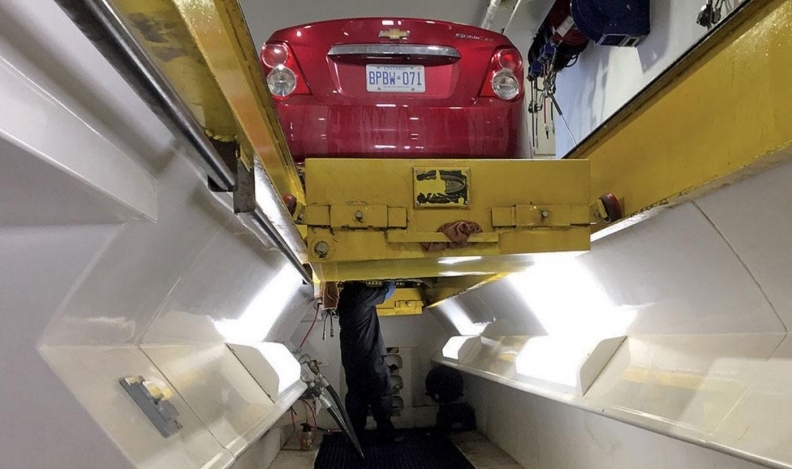 One of Canada’s top automotive dealers thinks the industry needs to encourage high school students to consider careers in vehicle service and repair, and that convincing them the jobs are highly technical is the way to do it. Shahin Alizadeh, CEO of Downtown Automotive Group (DAG) in Toronto, said there has never been a better time for young people to consider a career in the business. DAG includes 10 retail locations in Toronto representing eight automotive brands. It has yearly sales of more than $400 million. Alizadeh’s opinion is shared by Tahnee Pitter-Duncan, a 20-year old Toronto Transit Commission (TTC) auto-body apprentice. “There should be more people jumping to get into the trades, but there’s a nasty stigma of being called a greaseball, dropout or just an idiot for being a technician in the automotive sector. None of this is true,” Pitter-Duncan said. “Top-of-the-line shops are clean because only the rookies spill oil. You also have to be pretty smart to diagnose and repair damages on a vehicle, especially since there’s more and more electrical systems being added to vehicles. “To be a mechanic or autobody technician should never be synonymous with being broke,” said Pitter-Duncan, who is doing her autobody apprenticeship through a TTC program in partnership with the Toronto District School Board. “The hard workers of this field make so much more money than what people believe. 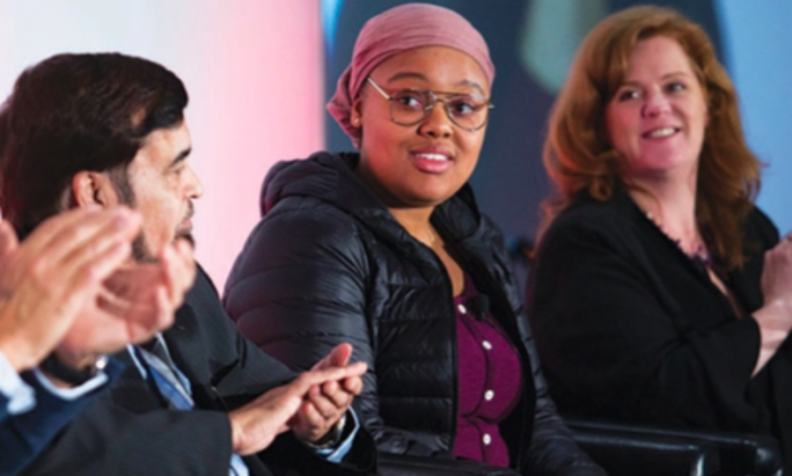 Tahnee Pitter-Duncan, a 20-year-old Toronto Transit Commission autobody apprentice, told a panel at the Canadian International Auto Show in Toronto in February that she has found good pay and interesting work. Janna Erichsen, chairwoman of part-time learning in the School of Transportation at Centennial College in Toronto, said parents need to look at the automotive trades in a different light when talking to their children about careers. “We have more mechanical engineers than we know what to do with, whereas we don’t have enough really good techs,” she said. Alizadeh also said the industry must convey the message that it’s inclusive for women. “As an employer of over 350 people, I would be absolutely delighted to see more women in general in our business regardless of the nature of their function, but specifically when it comes to service. “There’s no question that encouraging women to become part of our industry is the biggest challenge we face. Pitter-Duncan said there’s a great misconception that women can’t physically handle the job of servicing or repairing cars. “Being a female, there’s a lot of hesitance with males wanting to work with you because they feel you can’t pick up anything heavier than a makeup brush,” she said.